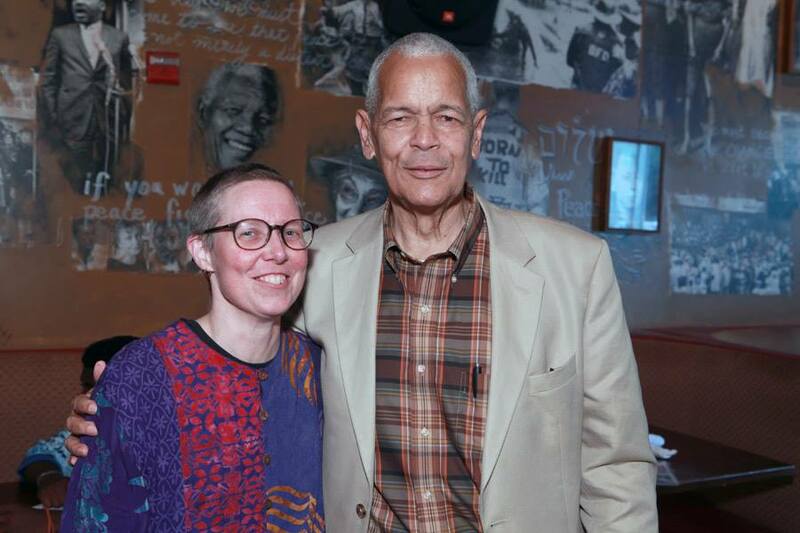 A new documentary website: SNCC Digital Gateway: Learn from the Past, Organize for the Future, Make Democracy Work (https://snccdigital.org) debuted on December 13th. It is the product of collaboration between the Student Nonviolent Coordinating Committee (SNCC) Legacy Project, Duke’s Center for Documentary Studies, and Duke Libraries. 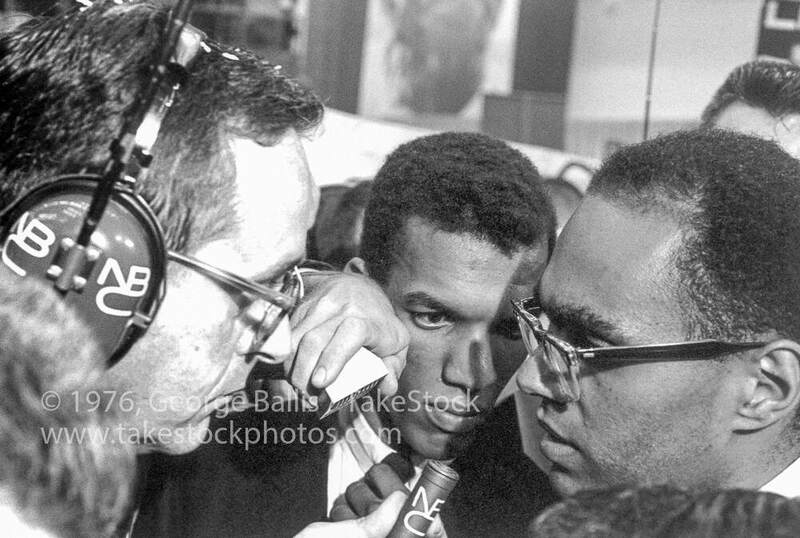 SNCC, which grew out of the student sit-in movement in 1960, was brought into being by Ella Baker, one of the 20th century’s most influential activists. The SNCC Digital Gateway went live on her 113th birthday. Made possible by the generous support of The Andrew W. Mellon Foundation, the SNCC Digital Gateway tells the story of how young activists in SNCC united with local people in the Deep South to build a grassroots movement for change that empowered the Black community and transformed the nation. Using documentary footage, audio recordings, photographs, and documents, the site portrays how SNCC organizers, alongside thousands of local Black residents, worked so that Black people could take control of their lives. It unveils the inner workings of SNCC as an organization, examining how it coordinated sit-ins and freedom schools, voter registration and economic cooperatives, anti-draft protests and international solidarity struggles. Map connecting users to the people who worked—and the events that happened—in a specific place. In 2013, the SNCC Legacy Project (SLP) and Duke University formed a partnership to chronicle the historic struggles for voting rights and to develop ongoing programs that contribute to a more civil and inclusive democracy in the 21st century. SNCC veterans shaped the vision and framework of the SNCC Digital Gateway. They worked collaboratively with historians of the Movement, archivists, and students to weave together grassroots stories, digitized primary source materials, and new multi-media productions to bring this history—and its enduring legacy—to life for a new generation. The SNCC Digital Gateway is a work in progress. We will continue to add more stories and fill out its content in the year to come. The story of the Movement told on this website is one of unsung heroes: domestic workers and sharecroppers, young organizers and seasoned mentors, World War II veterans and high school students. The SNCC Digital Gateway is here to share their story—and to help continue their legacy of organizing for self-determination and democracy in the generations to come. We feel certain that the site not only provides an unprecedented and valuable window onto past civil rights struggles, but a valuable tool for all those interested in social change today. On January 10th, 1966, the Klan firebombed the home of Vernon F. Dahmer, a businessman, community leader, and stalwart of the voting rights movement in Hattiesburg, Mississippi. Dahmer died the next day. Joyce Ladner, SNCC activist and sociologist, remembers Mr. Dahmer and his legacy in these remarks, prepared for the Clarion Ledger’s January 8, 2016 commemoration of Vernon Dahmer and published by Teaching for Change. I want to thank the Dahmer family, particularly Ellie Dahmer and the Dahmer children who had to find ways to go on after his life was cut short. They kept his life and legacy in the forefront of our minds. They ensured that those who took his life were prosecuted. I also want to thank Jerry Mitchell, Clarion Ledger investigative reporter, who played a key role in the conviction of the Ku Klux Klan imperial wizard Sam Bowers who ordered the fatal firebombing of the Dahmer family. January 10, 2016 will mark the 50th anniversary of the murder of civil rights martyr and American hero, Vernon Ferdinand Dahmer. He was a civil rights leader, community leader, and businessman in Hattiesburg, Mississippi. In the early hours of January 10, 1966, members of the Ku Klux Klan shot into and firebombed the home he shared with his wife and children in the Kelly Settlement section of Hattiesburg. It occurred soon after he announced on local radio that he would accept poll taxes at his grocery store and take them to the Forrest County Voting Registrar, Theron Lynd. He offered to pay the poll taxes for those who could not afford them. In doing so, he was going up against the formidable Lynd, who had a reputation for failing most blacks on the literacy test when they tried to register to vote. I was a college senior when I “failed” the literacy test in 1964. I will never forget the 6 A.M. call to my St. Louis apartment from my mother back in Hattiesburg who told me that the Ku Klux Klan had torched the Dahmer home and store to the ground and that Mr. Dahmer was in critical condition. Her next call later that day was to tell me he had died. His murder caused me to have a loss of innocence because I was reminded that the civil rights struggle could still cause the unleashing of the most virulent racial violence against activists. Continue reading Joyce Ladner’s remarks at Teaching for Change. Today, the Supreme Court’s gutting of the Voting Rights Act and an outpouring of restrictive state laws are again disenfranchising Americans. 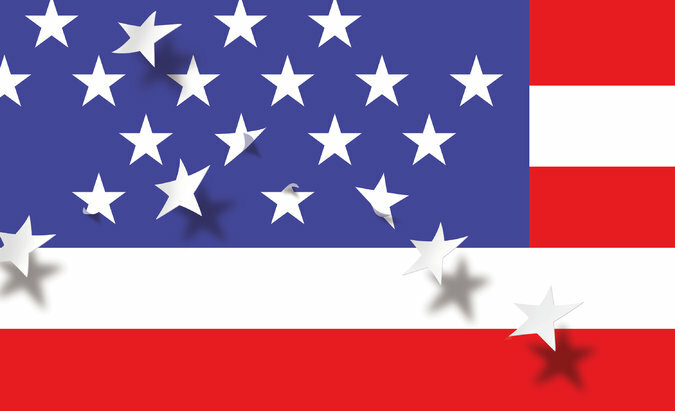 Two articles, one by historian and Editorial Board member, Hasan Kwame Jeffries, and the other by President Barack Obama, lay what is needed to protect voting rights today. The SNCC Legacy Project and Duke University will extend their partnership for another three years with the help of The Andrew W. Mellon Foundation. Read the press release here. DURHAM, NC – Students, faculty and librarians at Duke University will partner with the Student Nonviolent Coordinating Committee (SNCC) Legacy Project over the next three years. Together with civil rights scholars, they will build a digital gateway that will reveal the evolving tactics that SNCC and local communities used to develop the philosophical and organizational models that produced universal voting rights. Made possible by a $604,000 grant from The Andrew W. Mellon Foundation to the Duke University Libraries, the SNCC Digital Gateway will provide a new interpretive framework for SNCC’s history that incorporates essays and analysis, historic documents, timelines, maps, activist profiles, oral histories, short documentary films, audiovisual materials and teaching resources. 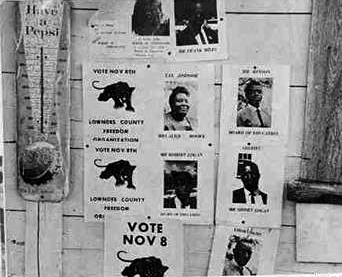 The SNCC Digital Gateway will build on the success of One Person, One Vote (onevotesncc.org), a new Web resource launched in March that was developed collaboratively by the SNCC Legacy Project, the Duke University Libraries and the Center for Documentary Studies at Duke University. Members of the SNCC Legacy Project — men and women who organized alongside local people in the Deep South for civil rights in the 1960s — will play a central role in the Mellon-funded project. They will come to Duke’s campus as Visiting Activist Scholars and work closely with undergraduate and graduate students, faculty members, archivists and digital experts to explain what SNCC did, how they did it and who was involved. Although historians have written about SNCC’s history, the story of how students and local communities worked together to bring about voting rights and other reforms has not yet reached the broader public. Most histories of the civil rights movement focus on the great leaders, dramatic marches and judicial and legislative changes that dominated the headlines. By contrast, the SNCC Digital Gateway will examine the behind-the-scenes work, circumstances and coalitions that shifted the national agenda toward voting rights. Specifically, the project will describe how SNCC’s organizers moved from being an organization of protesters to one of organizers in three pivotal locations: Mississippi; Lowndes County and Selma, Alabama; and Southwest Georgia. 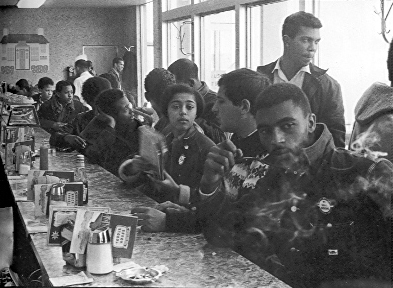 Led by student veterans of the sit-in movement, SNCC was formed at Shaw University in Raleigh in 1960. Through its full-time student workers or “field secretaries,” SNCC generated unprecedented activism at the local level that proved instrumental to the passage of the Voting Rights Act of 1965. SNCC became the cutting edge of the direct-action civil rights movement, focusing on political freedom and equal economic opportunity. Written by SNCC Legacy Project and One Person, One Vote board member Judy Richardson, this article was first published in Women’s Voices for Change on February 26, 2015. Then I opened this one box that I thought contained just old clothing. And there it was: my SNCC staff folder from the 1964 Mississippi Freedom Summer. Worn and green, it even had my contact information. At the top I’d noted: “N.B. : IN CASE OF EMERGENCY, ALWAYS CONTACT ONLY MY SISTER: CARITA BERNSOHN.” I’d also written on the folder “History vindicates those who are right! —James Forman (our man on the scene).” Jim Forman was our larger-than-life executive secretary. That N.B. was important: I’d been with SNCC at that point for only six months, yet still I knew that something might just happen to me that summer, and I wanted to make sure my mother would hear the news first from my older sister, Carita. Chita, as she was known in the family, was then coordinating Harry Belafonte’s SNCC fund-raisers out of our New York City SNCC office, and I assumed she would know how to break the news to my mother. These days, SNCC is not exactly a household name. The organization was founded in April 1960 by leaders of the sit-ins that began on Black colleges in the South. SNCC was the only national civil rights organization led by young people. Mentored by the legendary Black organizer Ella Baker, SNCC activists became full-time organizers, working with adult leaders to build local grassroots organizations in the Deep South. SNCC focused on voter registration and on mounting a systemic challenge to the white supremacy that governed the country’s entrenched political, economic, and social structures. That’s the mini-version, but it helps set the context for my story of how SNCC transformed me . . . how it changed my world-view . . . how it changed the entire direction of my life. Along with my mother’s strong and loving guidance, SNCC has been one of the strongest influences on my life. Transformation: it’s something our 14-hour Eyes on the Prize PBS series on the modern civil rights movement couldn’t adequately convey. [Richardson was the series’ associate producer and, later, education director.] It wasn’t only that our movement changed the country; it also transformed the people who participated in it. Personally, I became stronger, braver, and more skilled than I ever thought possible: I became a new me. A new web resource dedicated to telling the story of the grassroots fight for voting rights will launch March 2. The website, One Person, One Vote: The Legacy of SNCC and the Fight for Voting Rights (www.onevotesncc.org) goes live one week before the anniversary of “Bloody Sunday,” March 7, 1965, when state troopers attacked the peaceful voting rights march of 600 local demonstrators on Selma’s Edmund Pettus Bridge. It tells the side of the story largely invisible to the general public: the key role of local leaders and the Student Nonviolent Coordinating Committee in shifting the national political agenda toward voting rights. Students and faculty at Duke University working with SNCC veterans and civil rights scholars from around the country, are collaborating on the website, which documents how the bottom-up strategies of young people and black community leaders across the Deep South created an expansion of political, social, and economic opportunity for all citizens in the 1960s. “This site not only begins to tell a story largely ignored by civil rights canon, but also pilots a way to meaningfully bring Movement participants and scholars together for that purpose,” said Courtland Cox, Chair of the SNCC Legacy Project. The website focuses on SNCC’s organizing campaign in three states: Mississippi, Alabama, and Georgia. It draws on oral histories, as well as primary documents, photographs, and audiovisual materials at Duke and other repositories across the country. It includes profiles of 75 unheralded activists, movement elders and community leaders–along with primary documents and video. A timeline walks visitors through significant events in SNCC’s history. An interactive map brings to life the landscape of the many places where the young people of SNCC organized. SNCC was founded at Shaw University in Raleigh in 1960 by student sit-in leaders, primarily from southern black campuses. 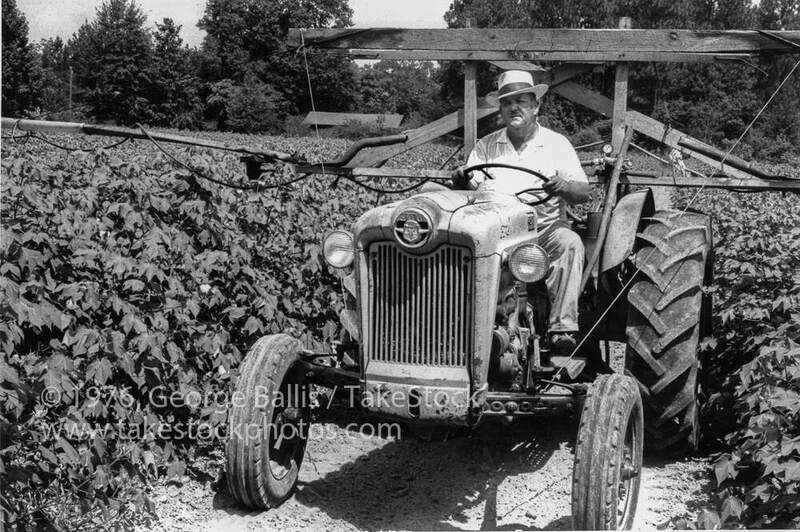 Its organizing and voting rights work began in 1961 in Mississippi and Georgia, focusing on political empowerment and equal economic opportunity. Full-time student workers, known as “field secretaries,” worked with communities to train and organize new local leaders – even as they were nurtured and guided by the older activists. SNCC developed philosophical and organizational models still in use today across the world. 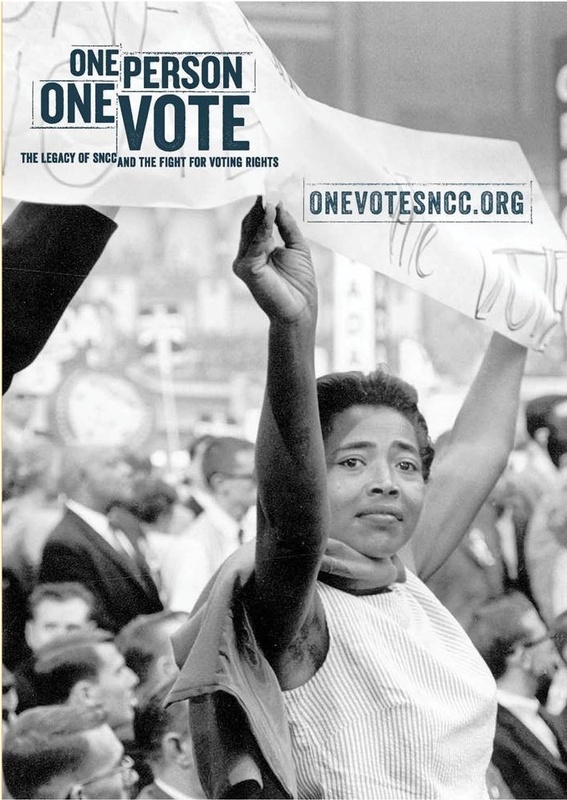 The One Person, One Vote website is part of a longer-term collaboration among the SNCC Legacy Project, Duke’s Center for Documentary Studies, and the Duke University Libraries. This will be the first time SNCC veterans have engaged with the academic community in such a sustained effort, with the goal of getting their crucial insights into the nation’s formal histories and archives and, beyond that, to young activist communities. A website launch event entitled “The Activists’ Playbook: From SNCC to Selma to the New Civil Rights Movement,” will take place Wednesday, March 4, at 7:00 p.m. at the Main Branch of the Durham County Library at 300 N. Roxboro Street. The event will include a panel discussion with SNCC veterans Judy Richardson and Charlie Cobb, local activist Cynthia Brown, and two young Durham activists. Like the One Person, One Vote site, the panel will focus on grassroots organizing and bottom-up history. A reception will follow. Former SNCC field secretary and journalist Charlie Cobb has been at Duke University since last September, serving as the One Person, One Vote Project’s very first Visiting Activist Scholar. Over these last six months, Cobb has been guiding the student project team as they’ve developed content for onevotesncc.org, serving as both an advisor and an editor. Below, the project team members share what it was like working with SNCC veteran Charlie Cobb and learning how to tell the grassroots story of the struggle for voting rights.